Red dun with blanket over hips. Born 4-17-03. My new filly was born in April of 2003. She is a red dun with a blanket pattern. I plan on using her for pleasure and competitive trail riding when she gets old enough. Right now she is just a cute pasture pet. 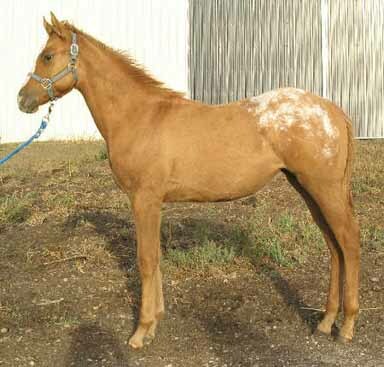 Foundation Appaloosa Breeders: Click to View or Add Links.